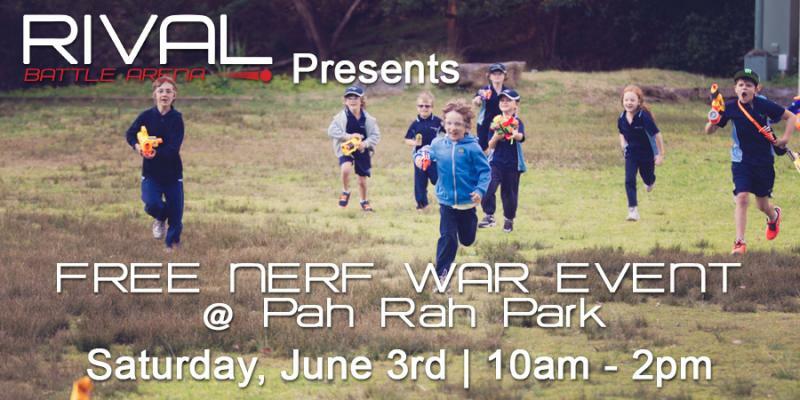 Leave your NERF blasters at home and join us for a FREE NERF war event at Pah Rah Park. Perfect for kids (ages 6 & up), teens, and adults who want to experience a taste of what Rival Battle Arena is all about. We supply blasters, you supply the fun! (Eye protection is required and is available to borrow during the event). *All participants (or guardians of participants ages 17 and under) are required to sign a waiver. Unfortunately this event is being postponed due to city interference. We'll post again when we reschedule.